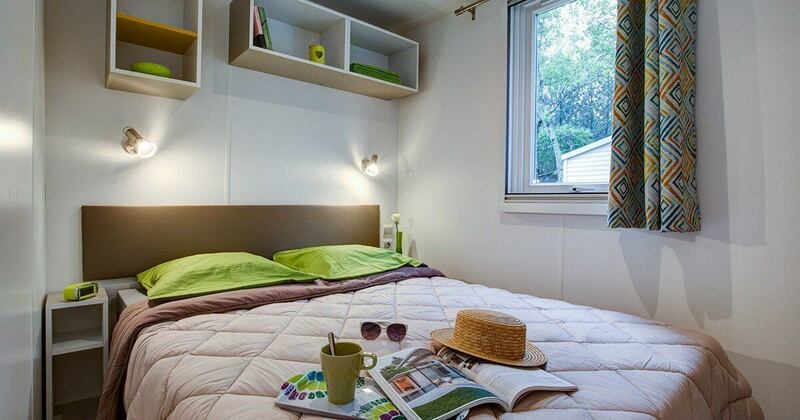 If you are looking for a practical, intimate and independent holiday rental for your romantic getaway in the Ardèche campsite or your family or small group stay, the mobile home Sunêlia Confort Moon will certainly suit you. With an area of 24 m2 and an open terrace, it is ideal for enjoying fresh air and nature throughout your holiday. He is able to receive a group of four people. This rental accommodation comprises two bedrooms, a dining area, a small kitchen and a bathroom with separate WC. 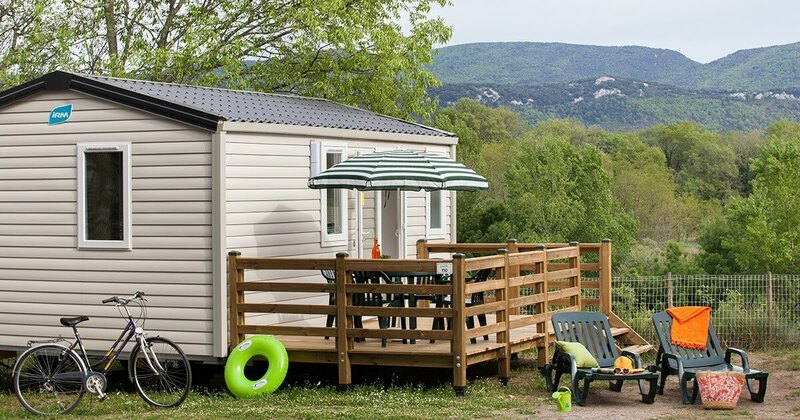 It offers enough space to allow you to enjoy as it should be from your Ardèche holiday. 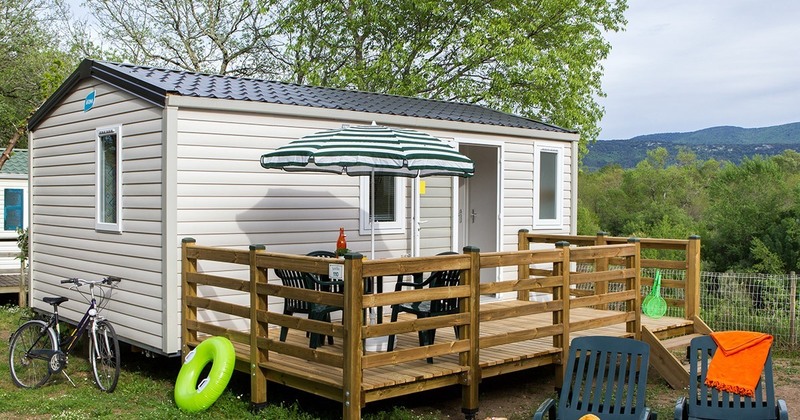 The sleeps in the mobile home Sunêlia Confort Moon are divided as follows: a double bed in the parent bedroom and two single beds in the second bedroom. Only the duvets and pillows are provided. 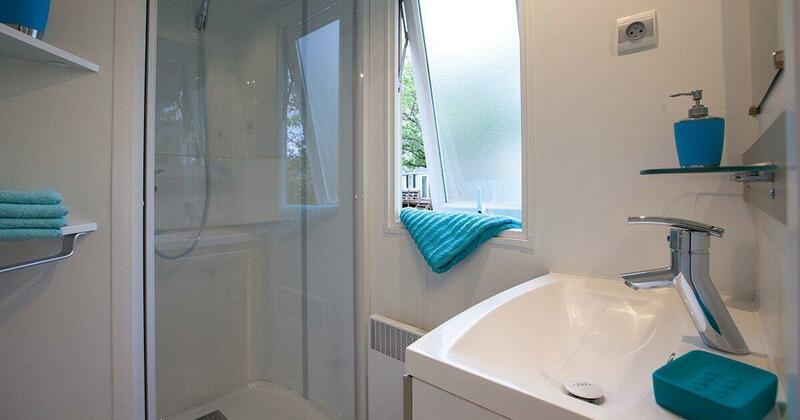 Sheets and towels can however be rented on the spot. 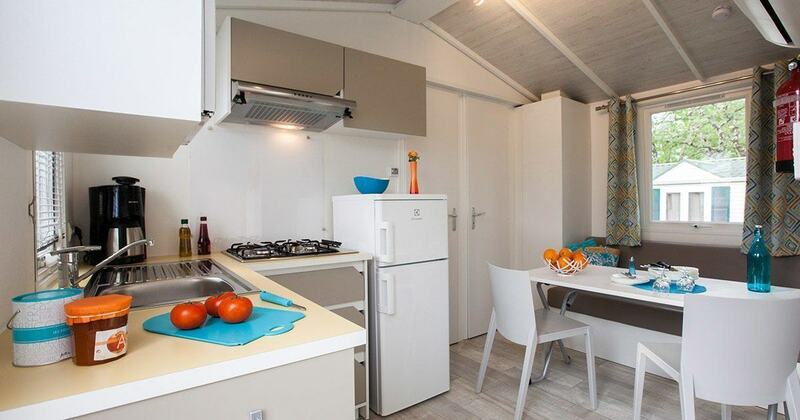 There is a kitchenette equipped with all the necessary to cook and cutlery adapted to the number of occupants. It is possible to take your meals in the dining area in the living room or in the open air on the terrace. Nothing like a breakfast in front of the green landscapes of our region to start the day well! But you can also share convivial moments, afternoons or romantic dinners before enjoying the cozy comfort of your bed. In addition, our Sunêlia Confort Moon 4 pers. 2 ch benefits from heating, air conditioning and safe. Even during high heat days, you are sure that the atmosphere inside your holiday home will be more lenient. 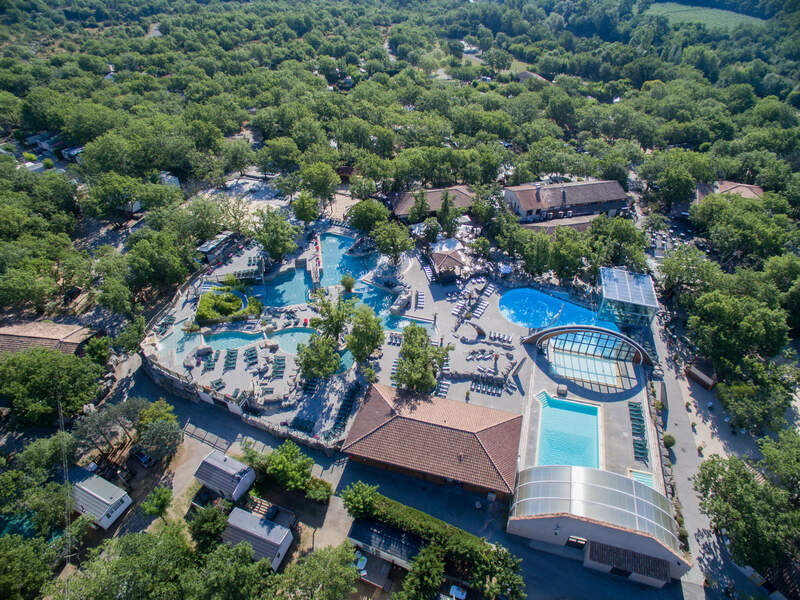 Our swimming pool is of course within walking distance if you have an urgent need to refresh yourself.